It’s springtime in Savannah Georgia and also the perfect time to install your ductless system. We are Climatech Air your Savannah, Georgia Bryant factory authorized dealer. We are proud to be your go-to for all things heating and cooling. Spring weather in Savannah Georgia consists of sunny 70-degree days with a nice breeze; however, these days are short-lived with a hot, humid summer right around the corner. If you have recently added onto your home or office, are turning garage/basement space into a living area or have new construction a ductless system is a perfect solution for all your comfort needs. Now until the end of April, we have a special on the Bryant Ductless Systems. We offer a free estimate and also hassle-free financing option. Contact Climatech Air today and schedule your ductless system installation before the summer heat is upon us! 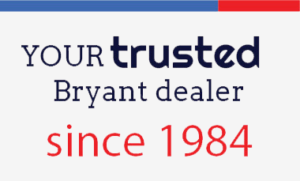 With a Bryant ductless system, you will also get a 10-year limited warranty, Wi-Fi remote access and the trusted Bryant name with innovative technologies and a reputation that has upheld over a century. Climatech Air’s expert installers will help you find the perfect Bryant ductless system that fits your comfort needs and your budget. Contact us today and schedule your free estimate. Climatech Air has been providing heating and cooling services to Savannah Georgia and the surrounding areas for over 30 years. We know how important the comfort of your home and office are that is why we make it our top priority to provide the highest quality customer service in Georgia. At Climatech Air, we want to make you a customer for life that is why we pair our superior customer service with exceptional Bryant quality products. 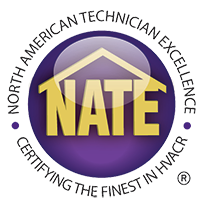 Our staff and factory-authorized installers are honest, professional, and trustworthy. If you want flexible solutions with versatility this spring, contact Climatech Air and ensure your year-round comfort with a Bryant Ductless System.